Mojiva, Inc. is the parent company of Mojiva, the mobile ad network, Mojiva Tab, the world’s only tablet-dedicated ad network, and Mocean Mobile, the mobile ad serving platform. Mojiva is the premium mobile ad network that reaches more monthly mobile devices than any other network. Mojiva provides advertisers and agencies with every imaginable mobile media execution across tablets and smartphones through mobile websites and apps. Mocean Mobile created one of the first mobile technology platforms that powers mobile revenue opportunities for publishers, developers and app stores by giving them the ability to serve display ads to all mobile devices, including smartphones and tablets. By integrating with the majority of third-party ad networks and agency side ad servers like DART and Atlas, Mocean Mobile combines state-of-the-art direct sales campaign management with ad network mediation for the mobile world. Mobile advertising has been growing steadily. More consumers have been supplementing their traditional desktop and laptop web access with mobile devices. Mojiva has been at the lead of identifying these devices and delivering device-appropriate advertisements, thereby increasing the effectiveness of mobile-centric campaigns. To effectively deliver rich media advertisements to mobile devices, Mojiva faced many challenges. First, for advertising to “work” on mobile devices, Mojiva must know several things about the device and its capabilities. For example, there are several types of mobile devices in terms of format (e.g. smartphone, feature phone, tablet), sporting different dimensions of screens. Likewise, the OS, browser, and media-rendering capabilities of these devices vary greatly. In fact, the number of different device and capability permutations total over 4,000 within the Android operating system alone. This trend towards fragmentation is accelerating over time. Mojiva’s challenge is to overcome the fragmentation trend by detecting each device’s capabilities and matching a rich media advertisement suitable to those capabilities. Second, this device detection solution must perform quickly. Advertisements are served quickly so that the publishers’ pages can maintain a good mobile web experience. Delays in rendering decrease customer satisfaction and result in viewers abandoning the web page. Therefore, the device detection must inform Mojiva’s ad servers and provide an advertisement in fewer than 100 milliseconds. Finally, this device detection solution must integrate with Mojiva’s analytical tools. Advertisers have indicated that mobile device type is an important dimension in how they want to segment and target their campaigns. Mojiva attracts more advertisers and publishers if it can prove that it has the tools to easily target campaigns. These targeting/analytical tools help reduce the overall cost of campaigns and increase market response, resulting in a better advertising return on investment. In turn, Mojiva’s ability to target an audience helps improve pricing for its services and grow its market share. Mojiva, Inc. evaluated the WURFL OnSite product and eventually integrated it into its solution. Mojiva, Inc. is a global company, serving advertisements around the world. To support this, its Mocean Mobile platform has several instances distributed geographically, each with WURFL integrated. While these multiple instances help maintain performance around the world, Mojiva took the extra step of loading the entire WURFL DDR into memory. This helps ensure a fast performance and great mobile experience for viewers of advertisements. 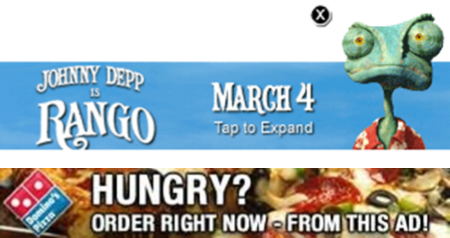 When a user on a mobile device views a web page, that page’s publisher serves up an advertisement. The user’s mobile device sends an HTTP request which includes a User Agent string. 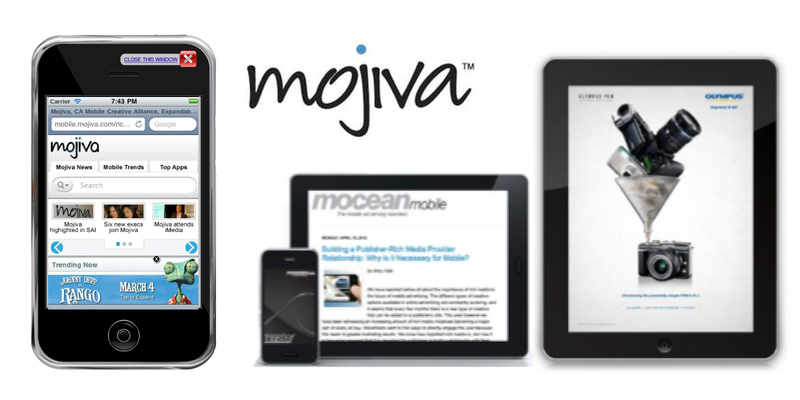 The publisher passes that User Agent on to Mojiva which uses its own Mocean Mobile platform for ad serving. The Mocean Mobile platform will use the User Agent to query the WURFL device capabilities. While WURFL’s DDR contains hundreds of device capabilities, Mojiva is interested in those that help it determine the best size and shape for delivering ad content. For example, tablets have larger screens, so advertisements are proportioned larger. Conversely, smartphones and feature phones need an advertisement that is small and will not overpower the content of the small web page. In a very short amount of time, the Mocean Mobile platform makes the device determination based on WURFL data, selects the appropriate advertisement content from a range of differently dimensioned files, and serves the advertisement back to the publisher’s web page. In addition, Mojiva captures the user agent and device information and forwards it on to its analytical tools. Mojiva builds a “cube” that includes geographic location, other salient targeting information, and the WURFL device information. Reports are made back to advertisers from this “cube”. They can then see what types of users viewed their ads and adjust accordingly. On a weekly basis, Mocean Mobile downloads an updated DDR file from its customer vault at ScientiaMobile. Because of these weekly updates, Mojiva can identify new devices and target them for campaigns. Mojiva also makes use of ScientiaMobile’s support portal to report the few times devices are incorrectly identified. In these cases, ScientiaMobile quickly researches and updates the DDR for all customers. Mojiva, Inc. relies on WURFL for real-time ad serving transactions, and this lead to strategic developments. Mojiva Tab grew out of the preference of advertisers for tablet users. With WURFL identifying tablets in its capabilities, Mojiva could target tablet users for their advertisers, and make it easier for them to reach them with appropriate advertisements. Today, Mojiva serves advertisements to over 1 billion devices, using WURFL data for all of them. Its network includes 8,000 mobile and tablet publishers. With their weekly updates, Mojiva is able to identify the newest devices and target them for their advertisers right away. This results in greater CPM pricing and better ROI for Mojiva’s customers. Mojiva, Inc. is led by a team of advertising and media veterans from Google, DoubleClick, Yahoo, Nokia, and Microsoft, who have more than 100 years of collective experience in mobile marketing and technology. Founded in May 2008 and based in New York City, Mojiva, Inc., is a privately held company backed by Pelion Venture Partners, Bertelsmann Digital Media Investments and Shamrock Capital. Follow Mojiva on Twitter, like us on Facebook or learn more at www.mojivainc.com.